This visual art exhibition associated with the IMPACT Performance Festival highlights the many forms through which contemporary performance work can be presented. IMPACT serves as the culminating presentation of work by graduating MFA students from the School of the Art Institute of Chicago (SAIC). 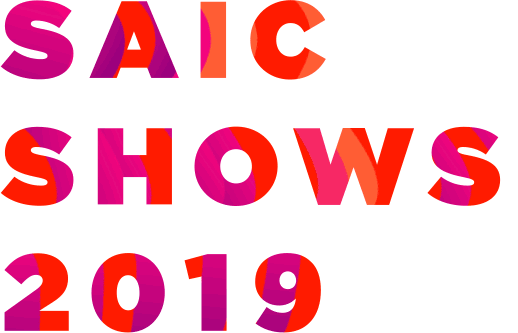 SAIC has a long history of supporting artists who create highly experimental work that responds to changing concepts of the body, time-based art, social practice, new media technologies, and the social and cultural conditions of a globally mobile society. In this exhibition, participating artists expand on their work presented in the IMPACT festival, showcasing the multiple forms such as video, sound, drawing, photography, and sculpture, through which contemporary performance practice can be shared with the public.Visual art and multimedia works are on view in the 2nd Floor exhibition hall and on the Lower Level with gallery hours Monday through Friday from 10am to 5pm. The exhibition was coordinated by Alumni Producer Lauren Steinberg with Graduate Curatorial Assistants Giannella Ysasi-Tavano (MAAAP 2019) and Carlos Salazar-Lermont (Dual MA 2019). 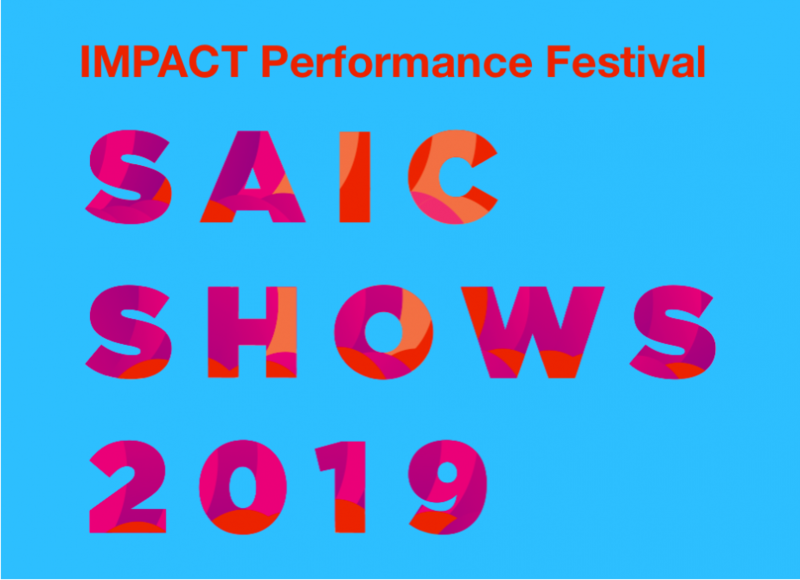 IMPACT is co-presented by SAIC Departments of Exhibitions and Performance, Zhou B Art Center, and Defibrillator Gallery. This program plays with performance expectations by activating multiple installations throughout the Zhou B Art Center. Within these spaces artists use different modes to investigate personal histories and navigate between the sincere and the absurd. Audience is invited to navigate the building on their own, observing ongoing activations and engaging with intimate presentations. Zachary Sun, Li-Ming J. Hendrix and Lariel Joy will have ongoing performances that invite the audience to witness activations and at times participate. The first presentational work will be an immersive installation presented by María Luisa. Helen Lee will perform the first iteration of her work inviting a limited audience to participate in the performance (nonparticipants are welcome to standby and observe). SUNGJAE LEE will be activating the central space of the first floor in a one hour duratorial piece, audience are encourage both to linger or come and go throughout the presentation. TANDY Solutions! invites audience to participate in their seminar. Finally, the night will close with a presentational work by Aram Atamian. Zachary Sun | 6:00-10:00 p.m.
Li-Ming J. Hendrix | 6:00-10:00 p.m.
SUNGJAE LEE | 7:15-8:15 p.m.
María Luisa | 6:20-6:40 p.m.
Aram Atamian | 9:20-10:00 p.m.
For Sunday evening’s program audience is invited to experience presentational modes of performance with scheduled opportunities to explore durational works. Performances this evening address different ways to explore one’s identity and the way social systems have shaped these personal experiences. Throughout the night these artists invite us to reimagine traditions, to explore gender empowerment, and offer embodied explorations of sound and movement. Polina Protsenko, Marie Peña, Lariel Joy, and Phaedra Beauchamp will have various modes of ongoing installations and performances. Audience is encouraged to revisit these throughout the evening to experience the transformation and durational character of the work. The first presentation will be Katie L. O’Neill’s work which revisits the phenomenon of disability passing through both narratives and movement. Chloe Yu Nong Lin will activate Zhou B’s first floor galleries inviting the audience to explore sound in between sonic and visual worlds. Wanbli Gamache will invite us back to the second floor to explore the complexity of navigating between intimacy and hyper-visibility. Phaedra Beauchamp will culminate their ongoing activations with a PowerPoint ‘lecture’ that looks into the ideas of indoctrination and hypnosis. To close the night, Kyra Lehman will present an ensemble work that explores the meaning of being alive. Katie L. O’Neill | 5:30-6:05 p.m.
Wanbli Gamache | 7:20-7:50 p.m.
Phaedra Beauchamp | 8:00-8:20 p.m.
Kyra Lehman | 8:30-9:05 p.m.